Using the latest cheap Vegetable discount codes is an amazing way to get great value for your money. 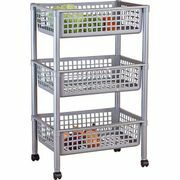 Whether you are looking for any Vegetable item such as juicers and peelers, there are a variety of choices await you from reputable sellers. You can get them from Morrisons, Amazon, Tesco, and other UK retailers. You can look for excellent cheap vegetable deals online with just a few clicks away and you can do it in the comfort of your home. Deals and voucher codes that you can use at reputable online UK sellers are always available. KTC Extended Life Vegetable Oil 5 LTR. Eating vegetables is very important to improve and maintain a good health. Vegetables are good sources of vitamins and nutrients that are needed by the body to function properly. They are also rich in dietary fibre, folate, potassium, vitamin, C, vitamin A, and more. Most vegetables do not have cholesterol at all so they will not clog up your arteries. Even if you love to eat them there are times that you do not have the time to prepare them. There are some tools that can help make your vegetable preparation activities faster and more efficient. If you are fond of eating and cooking vegetable dishes then you should invest in the right kitchen tools. One of the most essential tools that you should have is a reliable cutting knife. There are also vegetable slicers that can make various cuts. Vegetable slicers are very useful and they make the cutting and dicing of vegetables quite easier. You will be finished with your tasks in no time. Vegetable slicers are essential equipment in any kitchen most especially when you are cooking dishes with vegetables. You may also need a reliable cutting board so that you will not damage your countertop or kitchen table. It is also a must that you get a knife sharpening tool so that you will not have dull knives which can damage your vegetable and you will not have clean slices. It is also great if you purchase a food processor. This is very efficient in making salsas and purees. You can also easily prepare your spices like onions and garlic with a reliable food processor. All you need to do is to put the vegetable and fruit in it and you can slice them fast and easy. You can use your time to focus on cooking your dish rather than slicing your ingredients. Another vegetable tool that you should have in your kitchen is a colander. This will help you rinse and drain your vegetable. These are some of the vegetable tools that can help you prepare your vegetable dishes in no time. These tools can solve all your preparation problems and provide an effective solution. 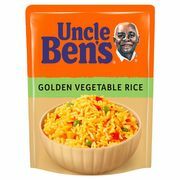 You can buy them from your nearest supermarket or online grocery shops. There is a wide selection of vegetable tools that you can purchase. Find the cheapest vegetable UK deals here at Latest Deals including the beset vegetable tools you can find. 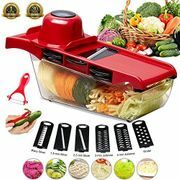 Get bargain deals on vegetable slicer electric, vegetable shredder UK, vegetable cutter slicer chopper, and more. You can also find cheap vegetables online such as fresh carrots, broccoli, asparagus, and so much more. There are even vegetable crisps, vegetable oil, mixed vegetables, and vegetable chips that you can get your hands on without breaking your budget. We have community of bargain hunters who are always on the lookout to find the best vegetable deals, sale, special offers, discounts, and price drops from major UK retailers. We also have a team of money-saving experts who regularly share essential tips and tricks that will be able to help you save on your instore and online shopping. Majority of online UK retailers have sale events, seasonal clearances, and flash sales where you can get up to 40% off on on all types of vegetable products. They also have 3 for 2 offers you can take advantage of for more savings. Watch out for their Black Friday and Boxing Day deals where their prices are reduced even further. If you want to maximise your savings, make sure to use the latest vegetable discount codes we have here. We also have vegetable voucher codes where you can get freebies or free shipping. There are lots of products to choose from. 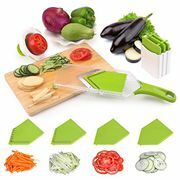 Choose the vegetable slicer that will suit its purpose. There are various types of slicers that have multiple functions. Maximise your purchases by getting the best vegetable tools available. Make your vegetable slicing tasks faster, easier and more enjoyable. Cooking your favourite dishes will be a breeze. Reduce Heart Problems. Eating vegetables may reduce the risk of having heart disease including stroke and heart attack. Prevent Certain Cancers. Eating vegetables helps protect you from certain cancers. Fibre Rich. Vegetables are high in fibre that helps in dealing with obesity and type 2 diabetes. Prevents High Blood Pressure. Vegetables are high in potassium which is ideal for lowering blood pressure and improve overall health. Prevent Kidney Stones. Eating vegetables can also decrease bone loss and prevent the development of kidney stones. Help in Weight Management. Vegetables can help lower calorie intake by making you feel full after eating it. Time-saving. Using vegetable tools saves you a great amount of time in preparing your ingredients. Vegetable slicers are very useful in slicing vegetables, fruits, and spices fast and easy. Slicing efficiency. The vegetable tools such as slicers will do all the work and you do not have to worry about your knife skills. Uniformity. 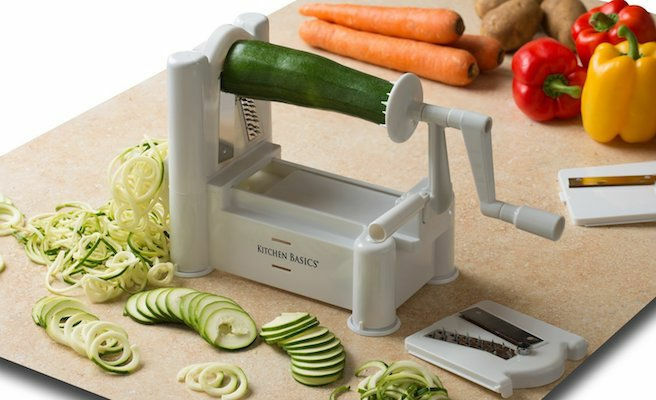 This will solve the problem of slicing your vegetable evenly. You will have perfect slices all the time. Easy to Maintain. Vegetable tools such as food processors vegetable slicers, and peelers are very easy to clean. Most of these tools have detachable components making them easy to wash and dry. The LiBa Mandoline/Vegetable Slicer. It has a stable rubber base so that it will not move when being used. It is also safe to use and it offers 5 slice settings. Mueller Spiral-Ultra 4-Blade 8in1 Spiral Slicer. It is a vertical slicer that is easy to use and it has multiple functions. It also has top-grade German stainless steel blades. OXO Good Grips V-Blade Mandoline Slicer. It can be adjusted to make various slice thickness. It provides not food stains and it also has a comfortable handle and adjusting knob. Presto 02970 Professional Salad Shooter Electric Slicer/Shredder. – It can also slice cheese, fruits, and vegetables. It is very easy to clean. It creates various thickness slices. Brieftons 5-Blade Strongest/Heaviest Duty Vegetable Spiral Slicer. It has 5 ultra-quality blades. It is made from the BPA-free plastic material. It is also lightweight and portable. Swissmar Borner V-1001 V-Slicer. It is cut risk free and is perfectly safe to use. It can slice any kind of vegetable and it can even shred cabbages. Kitchen Active Spiral Slicer. It is lightweight making it easy to handle. It is also portable and you can bring it anywhere. It has a cap for reducing food waste. It also has ultra-sharp and durable Japanese steel blades.